TOMORROW marks another chapter in the rise of AFL Women’s with the third draft since the competition’s inception, and this year is likely to be littered with primarily youth players as the talent numbers increase at junior ranks. We take a look at tomorrow’s draft and answer some key questions you might have. The AFL website will stream the AFL Women’s Draft from 11.45am, with the official proceedings to get underway from midday. After initial speeches and welcoming, Geelong coach, Paul Hood will have the first two chances to read out the names of players to run out in the blue and white hoops. Who will be pick one? It was a race to the finish between Nina Morrison andMadison Prespakis – with a number of others putting their hands up – but expect the tackling machine from the Falcons, Morrison to be the first name called out after nominating Geelong as her region of choice, whereas Prespakis nominated Vic Metro. Which players can teams select? For the first time, there will be six Victorian sides heading to the draft, with Geelong and North Melbourne joining the league. Given it’s regional base, the fact AFL Women’s players are still on part-time contracts and the costs associated with committing to the competition, the Cats have the ability to select any player that picked the “Geelong only” region, or the “All of Victoria” region. The other five teams may select players from the “Vic Metro” region, or the “All of Victoria” region. 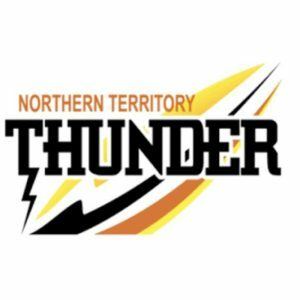 For the interstate clubs, they select players that have nominated their state. With only one side in each state, it means they will head to the draft knowing which players they will add to their list – but still hold suspense for their fans! Who are the names to look out for? 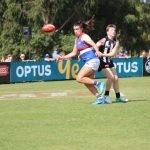 Aside from Morrison and Prespakis, who will likely be off the board early, other Victorians to keep in mind are Olivia Purcell (Geelong only), who will come into consideration at Pick 2, as will cricketer/footballer, Sophie Van De Heuvel, who has had interest from multiple clubs, including the Cats. Given Geelong is guaranteed to lock away Purcell, the Cats have the ability to select Van De Heuvel with Pick 2, and then secure her for 2019 before the other Victorian sides enter the draft. Dandenong Stingrays skipper, Jordyn Allen, and Gippsland Power’s Tyla Hanks are the other two who have come into consideration in the first round early, with Collingwood and Melbourne waiting on exactly what Geelong will do with Pick 2, and Carlton with Pick 3. 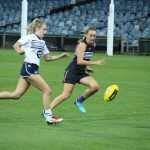 For Geelong fans, other names to look out for a bit later on are Georgia Clarke and Rebecca Webster, who both primarily play off half-back, with Webster also able to fill a role on the inside. Across the country, Sabreena Duffy is the name that will be the big one for Fremantle fans, with the West Australian captain leading the team throughout her accolade-littered junior career and will join the purple army. 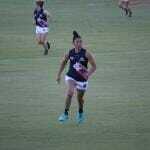 Nikki Gore has been the name whispered throughout South Australia this year, and the Crows will be very excited to have her on board, while Alyce Parker is the steal of the draft at Pick 12, with the Thurgoona Bulldogs star right up with the top couple of players in the draft crop. The Brisbane Lions have an interesting dilemma on their hands with both ruck, Lauren Bella, and utility, McKenzie Dowrick, worthy first round picks after the latter chose to leave Western Australia and nominate for Queensland. North Melbourne also has first access to Tasmanian players as part of their arrangement coming into the league, so twin sisters, Libby and Chloe Haines will be high on their radar, as could Lauren Stevenson as the three players from the Apple Isle who have stood out the most this year. There are still plenty of mature-agers floating about that will slot into AFL Women’s sides at the draft. Jayde Van Dyk is a young star who took out the Victorian Football League (VFL) Women’s Rising Star Award. There was talk of her potentially going Pick 1, and while it is hard to see Geelong not choosing the Falcons poster girl, Van Dyk could well come into consideration at Pick 2, or perhaps Pick 7 depending on the level of interest from other clubs. While the list of region choices is not publicly available, the fact the talk about her potentially going Pick 1, meant there is a hint she might have selected the “All of Victoria” region. Outside of Van Dyk, others who have shone in the VFL Women’s who were not already picked up are Essendon hardnut, Hayley Bullas, who was a tackling machine, and named in the VFL Women’s Team of the Year. She is sure to attract interest from clubs after her superb season, as is Richmond’s Alice Edmonds who was also named in the Team of the Year on the bench. 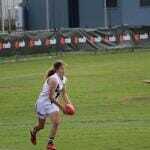 Collingwood’s Jess Edwards comes with high regard for her leadership and versatility, with the South Australian recruit sure to be another coming into consideration for clubs, including the Magpies. Who is already drafted prior to the draft? There are three players who have already been selected in the AFL Women’s Draft after being subjected to a bidding process. Abbie McKay, the first ever father-daughter selection was picked up by Carlton with Pick 16, after matching a bid for the tough, inside midfielder. Meanwhile, Collingwood has picked up two of it’s VFL Women’s players in Team of the Year representative, Sophie Alexander and Erica Fowler. Alexander drew a bid from Melbourne at Pick 31 – the only Victorian team between Collingwood’s two picks – that has cost the Magpies Pick 29. 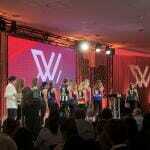 Fowler did not draw a bid and was penciled in Round 9, with the final selection of the AFL Women’s Draft – Pick 70. Some players worth keeping an eye on their names throughout the draft? 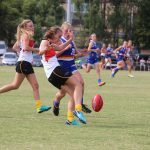 The first place to look is the AFL Women’s Academy, which holds the players who have been identified as some of the top talents prior to this season. 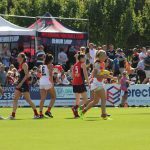 Emerson Woods blitzed the testing at the AFL Women’s Draft Combine and will be one that might come into consideration in the early stages of the draft, while ruck, Rene Caris is the standout tall from Victoria, and Georgia Macpherson is a rebounding defender who can play tall or small. Courtney Jones has shown an ability to play at either end or through the middle, while Denby Taylor will not stray too far from the Falcons homebase when she lands at Geelong. There are those teenagers who have impressed more at senior level, including Collingwood’s Daisy Bateman, Katie Lynch and Hannah McLaren, Williamstown’s Megan Williamson, Carlton’s Maddy Brancatisano, Hawthorn’s Mikala Cann and Southern Saints’ Eleanor Brown. 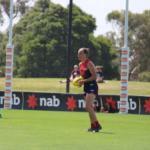 For South Australia, Janet Baird and Danielle Ponter are classy players who could be Crows players by the end of tomorrow, while Courtney Hodder (Fremantle) whose AFL Women’s Under 18 Championships were ruined by injury, and Tori Groves-Little (Brisbane) are other AFL Academy players who will be considered. Where can I find out more information about the players? We have conducted 60 interviews with top-age players, including every Victorian representative in 2018. To hear their story in their own words, head to our AFLW Draft Features page.